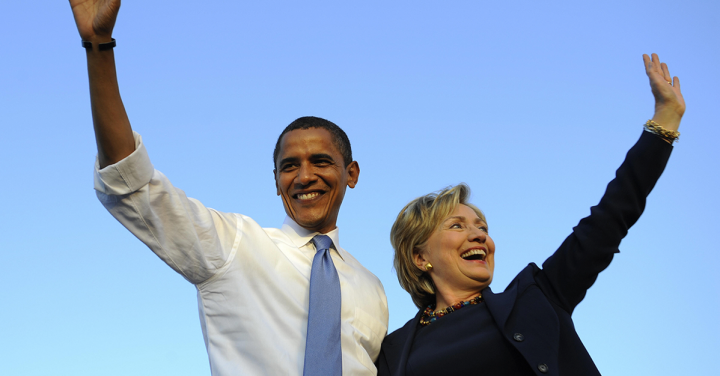 President Barack Obama of the United States has officially endorsed his former cabinet Secretary of State Hillary Clinton for president on Thursday. President Obama said he is “fired up” for the presumptive Democratic Presidential candidate for the November polls. In a prerecorded video released Thursday, Obama latched onto the Clinton campaign’s slogan, letting his supporters know that “I’m with her,” and pledging to campaign for the presumptive nominee. The president’s endorsement comes eight years and two days after Clinton did the same for him. “I know how hard this job can be, that’s why I know Hillary will be so good at it,” Obama said. “I’ve seen her judgement, I’ve seen her toughness, I’ve seen her commitment to our values up close,” Obama added of his one-time rival. Obama said. 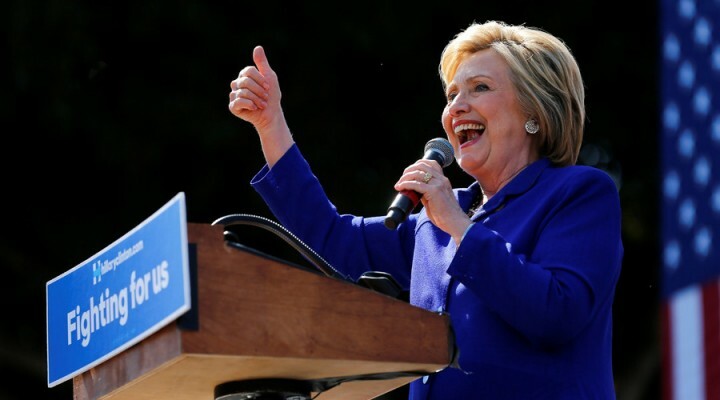 Hillary Clinton has captured enough delegates to secure the Democratic presidential nomination, according to tallies by two U.S. media outlets, as she and rival Bernie Sanders faced off on Tuesday in contests in six states. A former senator and U.S. secretary of state, Clinton would be the first woman to ever be the presidential candidate of a major political party in the country’s history. Sanders has vowed to keep up the fight in what has been a long and increasingly antagonistic Democratic primary race. The U.S. senator from Vermont, who calls himself a democratic socialist, has commanded huge crowds spilling out of parks and stadiums, galvanizing younger voters with his promises to address economic inequality. But Clinton has continued to edge out Sanders, particularly among older voters with longer ties to the Democratic Party. Her less lofty promises focus on improving upon the policies of her fellow Democrat and former boss, President Barack Obama. On Tuesday morning, Clinton secured the endorsement of House of Representatives Democratic leader Nancy Pelosi of California, who noted Clinton’s career devoted to children and working families. “In this campaign, we have seen her vision, her knowledge, her ability, indeed her stamina, to get the job done for the American people,” Pelosi said in a statement.